Conventional wisdom today says that to survive, companies must move beyond incremental, sustaining innovation and invest in some form of radical innovation. "Disrupt yourself or be disrupted!" is the relentless message company leaders hear. 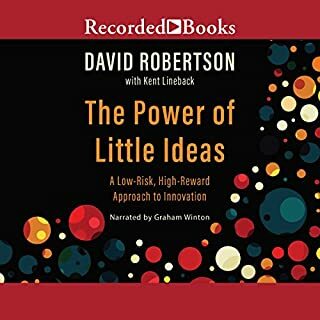 The Power of Little Ideas argues there's a third way that is neither sustaining nor disruptive. At first I simply couldn’t get into it but after driving in my car in traffic I began to grasp its content. It was very interesting for me at this time in my life as I have some big decisions to make and this book was enlightening because I felt I have found answers to the many questions I’ve had about marketing and running a business. It simplifies what I’ve long thought as dreadful and too much work. At nine years of age, Logan Weber knows the routine. Keep quiet, make the food last, and don’t ever cause trouble. He’ll do what it takes to evade the rages of his troubled, violent father. Even though he’s only a child, Logan already knows too much - has seen too much. So when the opportunity presents itself, Logan runs. 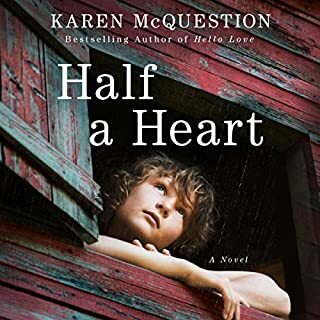 He has no idea where his journey will lead, or that the grandmother he’s been told is dead is desperately searching for him. Alone with no home of his own, Logan looks for a safe place to hide. It just pulls you in for more! From the beginning it just pulls you in and you simply can’t put it down. I don’t think I have listened to an entire audiobook as quickly as I have listened to this one.